Even if you’re not planning to sell your home anytime soon, it’s important to understand what your project may or may not do for the value of your home. Extending is an expensive project, but can in many cases reward your investment when it comes to selling. However, an extension doesn’t always result in a bigger house price. How much value you add will depend on the quality of the work, what (if any) additional rooms you’ve created, and whether or not your area has a ceiling price - meaning, there’s a limit on how much a property can be worth in your location. To work out if your home is affected by a ceiling price, checking in your local estate agents to see for what price homes with extensions are selling at around you. Have you got enough budget? Do you understand the timings? Extending your home isn’t a quick job, in fact, you might be surprised by how long the whole process can take. There’s a lot of stages involved with extending, and each one can vary on the time it takes. For instance, you might need to get a Party Wall agreement with your neighbour. This can take anywhere between a week and 3 months to sort. Similarly, who you hire can also have an effect. At Resi, we aim to provide designs within 2 weeks, while other firms can take as long as two months. Check out our blog on the timeline of home extension. Learn more about these options in this blog. Each of these routes have their pros and cons. The more you do yourself, the more money you’ll be able to save. Not only that, you’ll have greater control over your project. Knowing where your materials come from, and being able to see every facet of the work. However, it’s likely your build will take a lot longer to complete, and you run the risk of having to undertake expensive repair work, if your work isn’t up to a high professional standard. Do you have permitted development rights? Permitted development rights were created by the Government to allow homeowners to extend their home, without the need for planning permission, as long as said development follows a strict set of guidelines. These rights do not extend to all homes. For example, no one living in a flat or maisonette has permitted development rights. Nor do some homes that are located in conservation areas. Having permitted development rights makes planning a lot easier. Though you won’t require planning permission, you will need to get a lawful development certificate, in order to prove your build was done legally to future buyers. Not having to worry about planning rejection will also mean you won’t have to worry about repeated application and revision fees. Learn more about your Permitted Development Rights here. Where will you live during construction? It’s a factor often overlooked by homeowners, but will your home be habitable during the construction of your extension? Depending on the work, your water may have to be shut off, you’ll have builders moving material and waste through your home, and you may lose vital space - like your bathroom or kitchen. When it comes to facing construction, you’ll have a few options. If the work is happening at the rear, and your garden allows your contractors to avoid going through the rest of your home, you could stay put. Alternatively, you might opt to rent another home with a short-term contract. Moving will be a pain, but will let you have a normal homelife for the length of the build. Caravans are another option, if you have the space nearby. However, families with kids might not relish the idea of such close quarters. Who will do your designs? 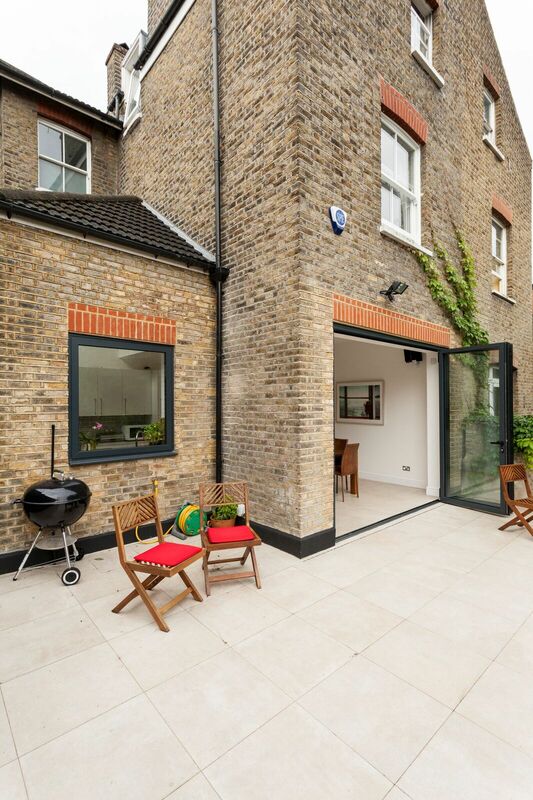 The obvious, and most recommend, option would be that you get an architect to design your extension. However, there’s no law that says you have to go down this route. Some people get a contractor to draw their designs, or you could even do them yourself. So why choose an architect? For starters, it means you and your home have much better protection from bad practises. Unlike contractors, architects are held to a statutory code of practise, and undertakes years of training before being allowed to produce designs. Not only that, they’re able to act as your planning agents, meaning you have a much better chance of securing planning approval. Ultimately, if you’re extending your home, you want to make sure you’re getting the best build possible. That means utilising the most space, getting the best layout, and avoiding as many admin headaches as you can. All this should come into consideration when it comes to your early design decisions. Fun fact, your current home insurance will stop covering your home the minute you start to construct your extension. In fact, it stops being applied for any structural change. For this reason, you’ll have to take out site insurance, to make sure you’re still protected. You’ll also need to check what your contractors liability insurance covers, if they have insurance at all! To make sure you don’t fall foul of cowboy builders, we recommend looking into Developer Insolvency Insurance. This will protect you in the event your contractor goes bust - which is more common than you might think. Learn how to avoid cowboy builders here. Have you got any potential obstacles in your way? Sometimes there are forces out of the homeowner’s control that can derail their extension. What impacts a build can sometimes come as a surprise, as to anyone not in the industry, they can seem harmless. For instance, did you know that some trees are protected? Its known as a TPO (Tree Preservation Orders), and if you have a protected tree in your garden it’ll mean you lose your permitted development rights and will need to look into getting planning permission. Altering a protected tree is even a criminal offence. Learn common reasons why planning permission is refused. Are you on good terms with your neighbours? Your neighbours could play a big part in your projects success, if you share what is known as a ‘party wall’. Put simply, a party wall is any wall, boundary, or structure that straddles yours and your neighbour’s land. If you plan on building on, or next to, this party wall, you’ll be required to come to a ‘party wall agreement’ with the person next door. As we’ve touched on, this can go one of two ways. Your neighbour could give consent straight away, or you could be looking at a lengthy (and costly) legal process. Therefore, it doesn’t hurt to start buttering them up sooner, rather than pay for it later.